This morning I took the kids to school in a plain old tshirt without having to put on a sweater or jacket -- FINALLY! It is reeeeeally getting warm these days, and I find myself grabbing a bottle of Aquafina FlavorSplash whenever I go out. Fortunately I'm an Aquafina FlavorSplash Mom and Aquafina has been sending my family samples of all their flavors! Last week they sent us a 6-pack of the Strawberry Kiwi, and this week's flavor was Grape. The Grape flavor is soo yummy! It's a close #2 to my favorite Aquafina flavor, Lemon, and I love sticking it in the fridge so I can grab it to go anytime I want -- it's great for the summer, when we're at the park or at some festival. It's so much better for you than the sodas they sell at amusement parks or refreshment stands at festivals and fairs, and it's cheaper too! Needless to say, my kids love Aquafina too. Check out this Aquafina rap video that Jammy and The Pea made! I Love the Grape flavor with a Capital L, but I'm just not a Strawberry Kiwi fan. It just doesn't taste like either Strawberry or Kiwi! Of course, that's not really a criticism, just a personal preference -- I'm sure there are many people who do like it (my kids, for example), just like there are people who like pecan pie and coconut water and grilled prawns. Aquafina FlavorSplash flavored water is an easy, delicious way to stay hydrated. Just grab it and go! Leave a comment on this post with your favorite way to stay hydrated on the go. This entry must be completed before extra entries qualify. 1) Leave a comment on my kids' Aquafina rap video on Youtube (1 entry). 3) Share my kids' Aquafina rap video on Facebook (1 entry). This giveaway ends at midnight PST on June 25, 2010; I will draw 2 winners at random on June 26 and post the winner's name after the winners confirm acceptance. For additional giveaway rules, click here. Good luck! I like to carry water bottles and put them in cupholders wherever I go (in the minivan & on the stroller). My fave way to stay hydrated is keeping at least two water pitchers in the fridge so we always have ice cold water. I always keep a water bottle and a sippy cup in our laundry room so it reminds me to go fill them up before we leave the house. I always travel with my water. Whether its a quick trip to the grocery store, or a day trip I always have water with me. I carry little packets of Crystal Light or Wylers pink lemonade mixes with a bottle of water. 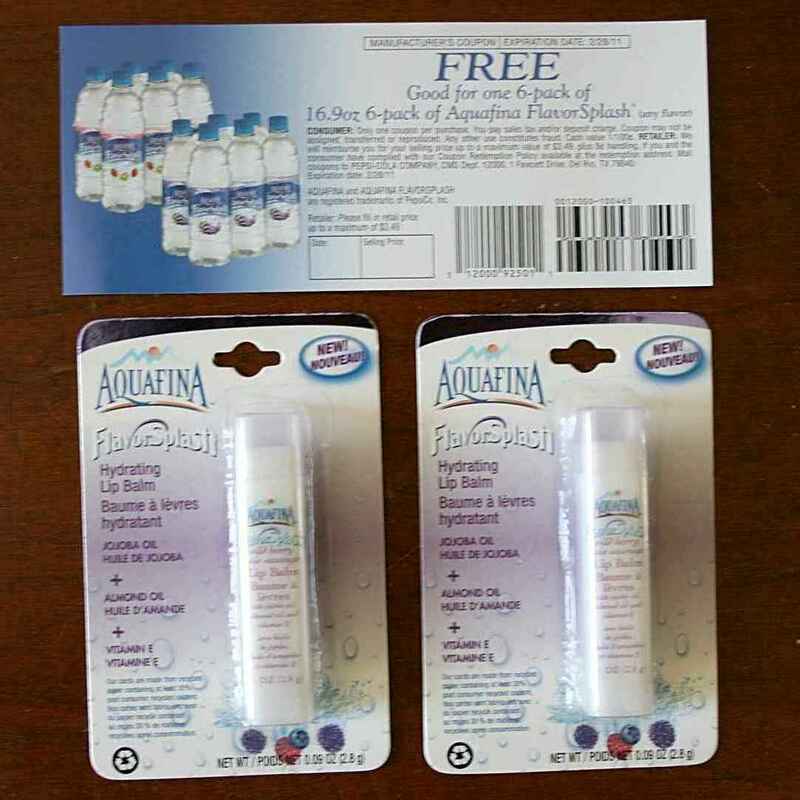 Posted this giveaway on Aquafina Facebook page. I left a comment at your Youtube video. My favorite way to stay hydrated on the go is to just carry water bottles with me. We always have a bottle of water on hand no matter how far a trip we may take. I carry Crystal Light in my purse and always have a bottle of water with me. I fill my bottle with ice cubes before I leave the house, then I have nice cold water with me as it melts. I try to keep a bottle of water with me as much as possible. I like to keep a stainless steel bottle of water with me. I really like to use some flavor packets to change it up a bit. I keep a stainless steel bottle with me. That way I grab that instead of a soda or something else. My tip may not be terribly original (not at all, in fact! ), but it's what works for me. I ALWAYS carry a bottle of water with me everywhere I go. I keep a small one that I fill before I leave the house, and if I need to fill it again throughout the day, I do. It just helps ensure that I keep drinking water all day long!